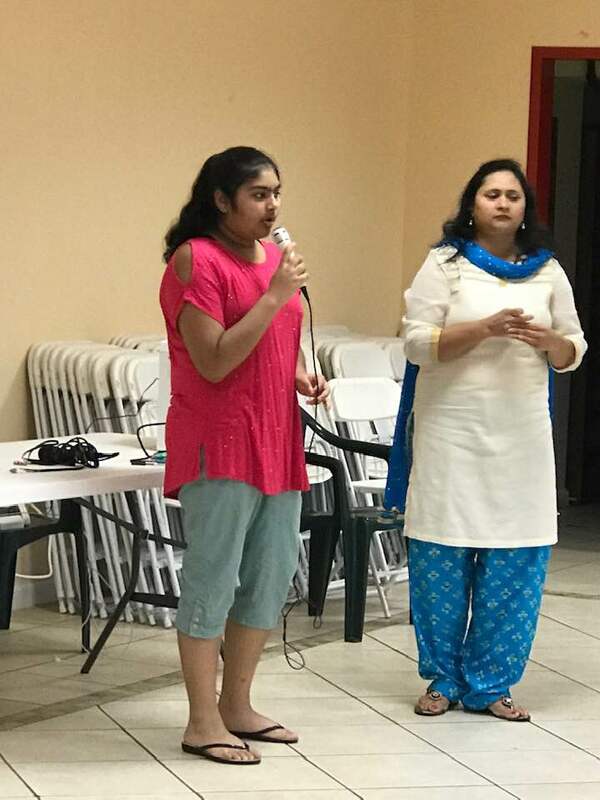 Franklin Township, NJ-March 30: The Open House event of Sangam-Franklin STARTALK Hindi Program 2019 was held at Bharat Sevashram Sangha auditorium. It was attended by parents and students who were briefed about the unique features of the program. Our instructors presented the theme and topics of the program and answered questions from parents. 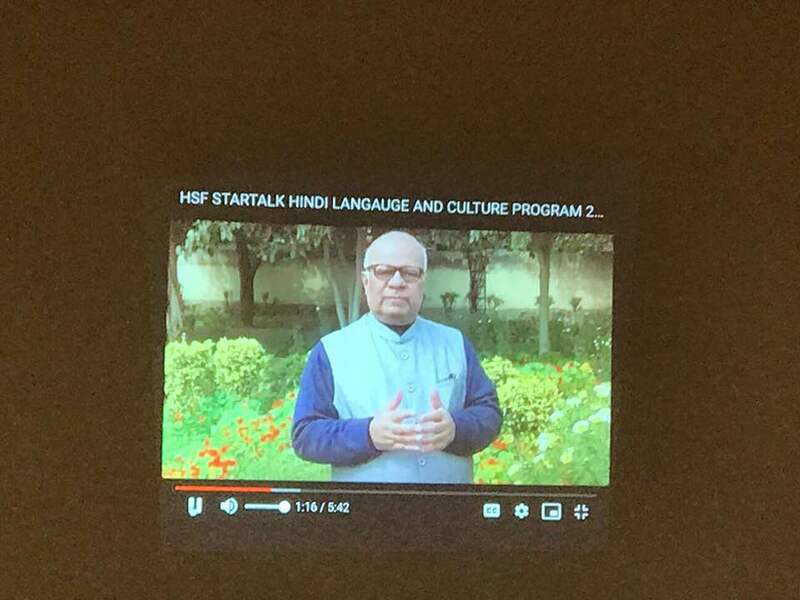 We also explained the teaching philosophy of STARTALK and the teaching methodology of Sangam-Franklin program using rich cultural materials and technology at Franklin High School. Mrs Purnima Desai, Vice-Chairperson, Hindi Sangam Foundation addresses the gathering while Ashok Ojha, President, HSF, spoke about year round activities of the organization. The main features of 21stCenturyHindi.com as well as program website were also presented. In the end Annual Day of HINDI SANGAM FOUNDATION was celebrated with presentation of Annual Report of HSF. Program ended with vote of thanks followed by lunch.